Members know a good dental plan when they see one. When the name on that plan says Delta Dental of Minnesota, it’s an immediate testament to quality, value, service, expertise and commitment. In other words, not just a good plan–a great one. We invite you to experience first-hand what the Delta Dental Difference is all about. Largest dental benefits provider with 8,800 Minnesota and North Dakota-based employer groups and 4.1 million members nationwide. To get the most from your benefits, we encourage you to see a dentist who participates in your plan’s network. These are called in-network dentists. They provide services at discounted rates and file all claims paperwork for you. You get the best out-of-pocket savings when you see an in-network dentist. If you choose a non-participating dentist, you’re responsible for making sure they complete your claim forms and send them to us. 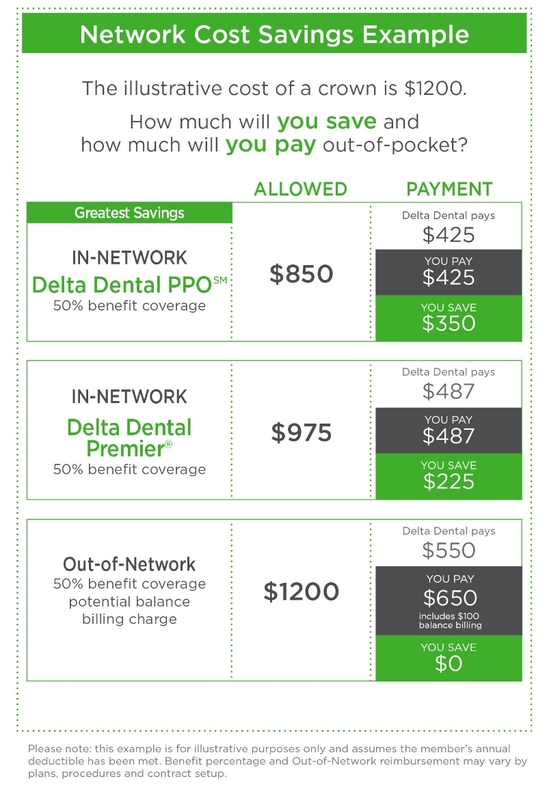 If you have a Delta Dental PPO™ plan, you’ll have the lowest out-of-pocket fees for more benefits when you see a network dentist. Visiting a dentist in Delta Dental’s Premier® network also offers discounts and protection from additional billing. If you choose to visit an out-of-network dentist, you may have to pay higher fees and submit claims yourself. Find a Dentist or check to see if your dentist is in-network.